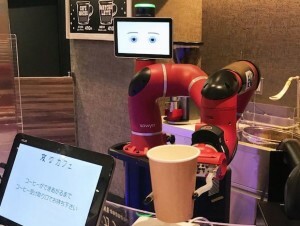 It seems that no aspect of culture is safe from the reaches of artificial intelligence these days, so perhaps it was only a matter of time before the technological revolution caught up with bonsai. 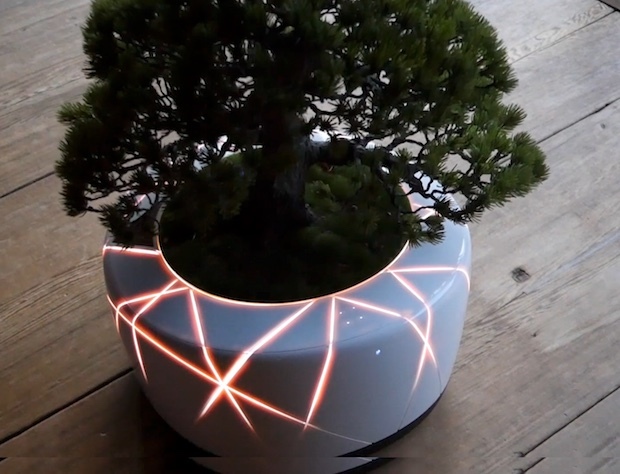 The Japanese horticultural art has been reimagined as BonsAI, a bonsai plant integrated with AI by TDK Corporation. 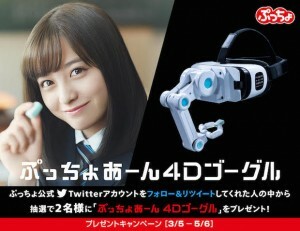 An interactive Japanese plant with intelligence? That’s the idea at any rate. 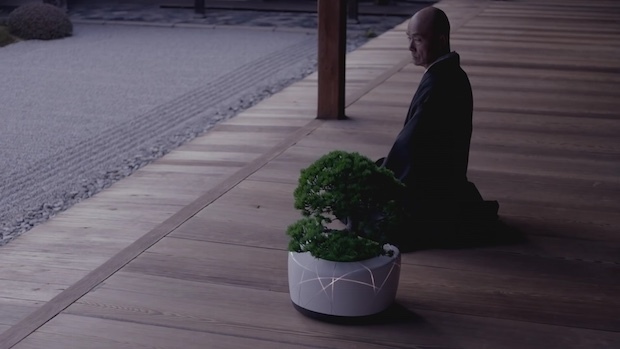 This bonsai plant can apparently hold conversations with humans, serving as a listening post and an advisor for their life problems. BonsAI can also move around, searching for sunlight by itself. When it reaches light, it lights up the LEDs integrated into its pot to show its pleasure. However, it’s not completely independent and still needs to ask us humans for water. It is capable of approaching water when its sensor measures the soil to be too dry and then asking humans to be watered. 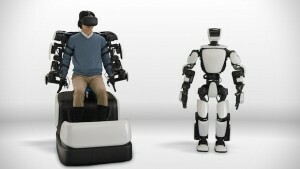 As such, BonsAI is more like a robotic pet than a plant (or, for that matter, conventional bonsai). It is fitted with a soil sensor, miniature camera in the front to control its movements, LED panel to convey its emotions, miniature speaker, axis sensor for movement stability, shapeable film solar cell for power supply and illuminance sensing, wireless electricity supply device, and a base with tiny condensers, inductors, and a micro computer. The unit weighs in at around 20kg (44 lbs), which is pretty hefty for a plant, but this is no ordinary plant. BonsAI seems to be only a concept model at present with no official word on a commercial release. This is perfect for those who wants to have bonsai plant but too busy and has no time to take care of it.. and it has a feature where you can see if the plant needs water or not, also they can search sunlight by their own. Hoping to have this one someday.